TEDDY BEARS PAST & PRESENT. Volume II by Mullins, Linda: Hobby House Press, Cumberland, MD 9780875883847 Hardcover (Original Cloth), 1st edition., Signed by Author(s) - Archer's Used and Rare Books, Inc.
As the companion to Volume I, Teddy Bears Past &amp; Present, Vol. II, provides more in depth research into the gems of the history of the teddy bear. 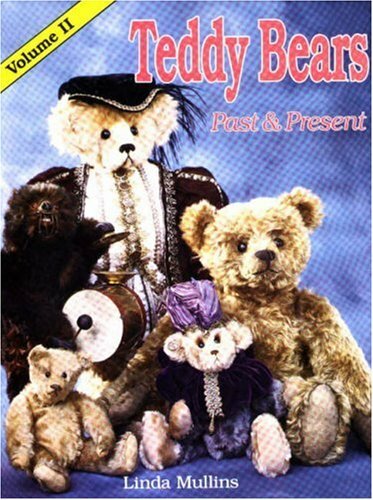 This research includes such diverse topics as today's bruin collecting and manufacturing in Germany, America, Britain, Australia, Japan, and France as well as biographies of elite teddy bear artists and a wealth of photographs of their bears. Over 500 photographs, 153 in color. 255 pages.